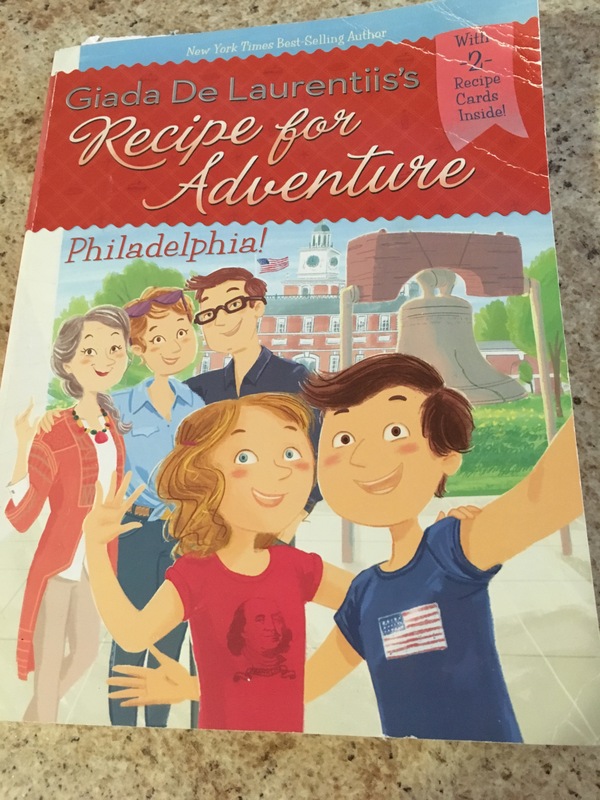 Evie got a new book, guess what, it involves cooking! She was so surprised to find this book, it is a kids book by Giada de Laurentis. There are two others in the series as well that we are keeping an eye out for. There are two recipes in the back, one for pizelles and one for steak sandwiches. First of all you need to marinade the steak. We liked the flavour of the marinade and will try freezing steak in it sometime for a freezer meal. Combine first five ingredients in a large resealable plastic bag, and the steaks and seal the bag. Refrigerate at least 30 minutes up to 2 hours. Turn occasionally as they marinate. 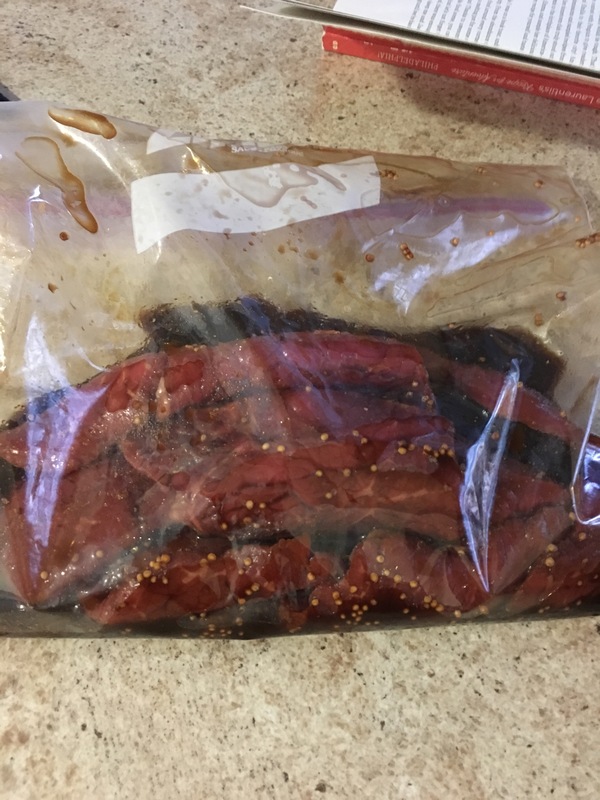 Remove steaks from bag and discard marinade. Grill steak to desired doneness. 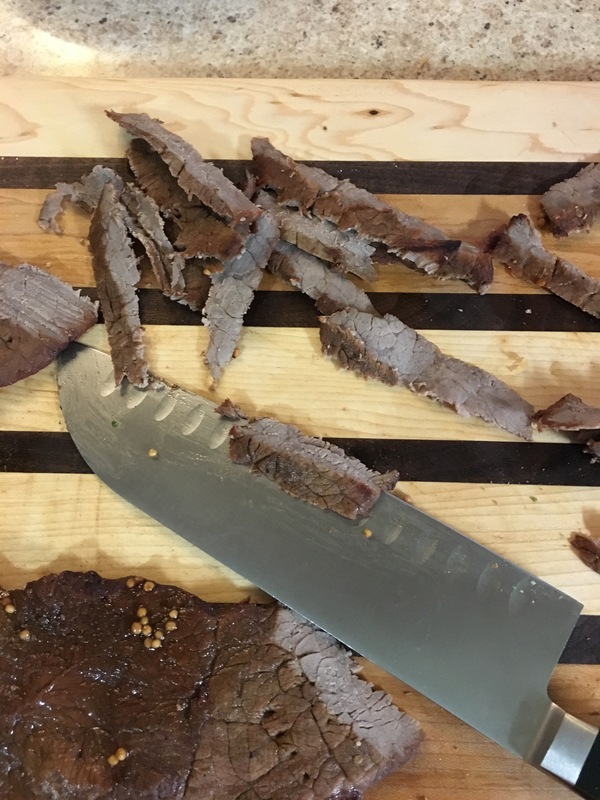 Let steaks rest on a plate for about 10 minutes then slice thinly across the grain. 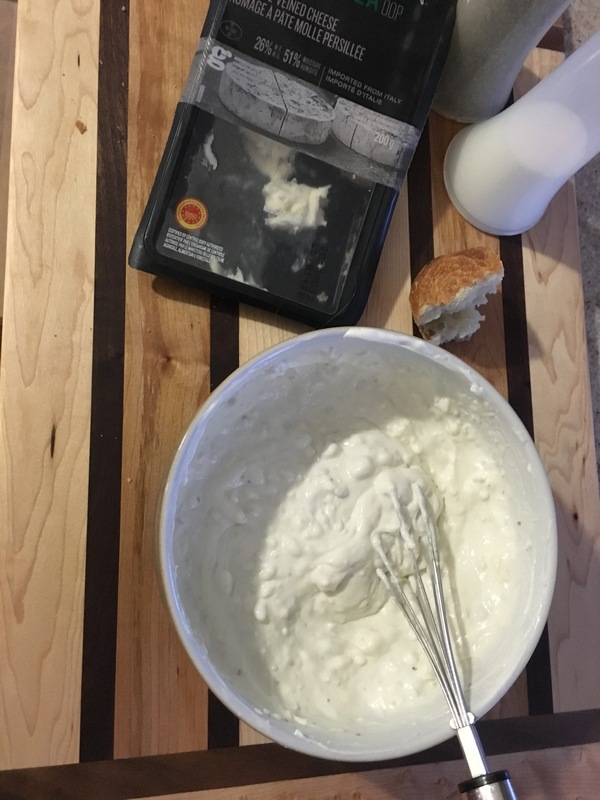 Stir sour cream and Gorgonzola together with a sprinkle of salt and pepper to make a thick spread. Cut baguette lengthwise and scoop out a little of the bread. Smear the spread over both sides of the baguette halves. Sorry, got carried away with making dinner and forgot to take pictures. 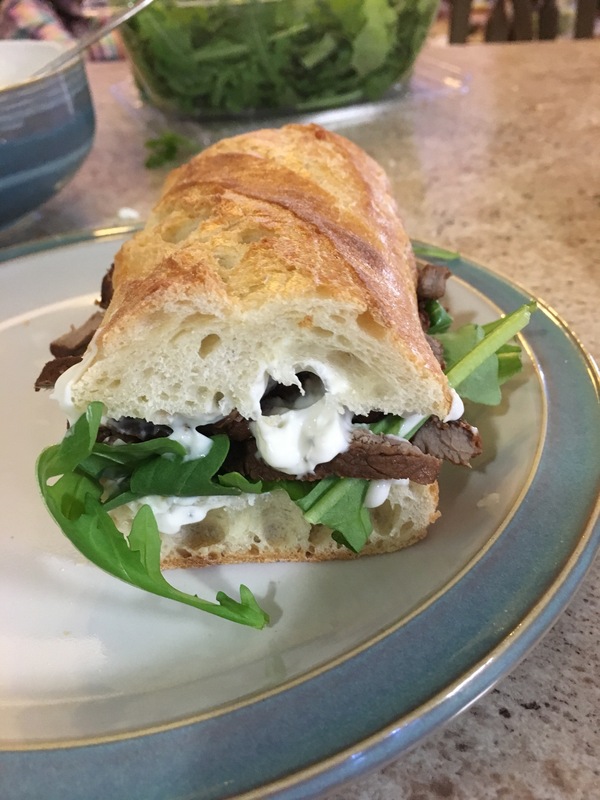 Arrange arugula over bottom half of baguette then add warm steak slices on top. Sprinkle the steak slices with a little salt and pepper. Cover with baguette top. Cut sandwich crosswise into 3-4 equal parts. 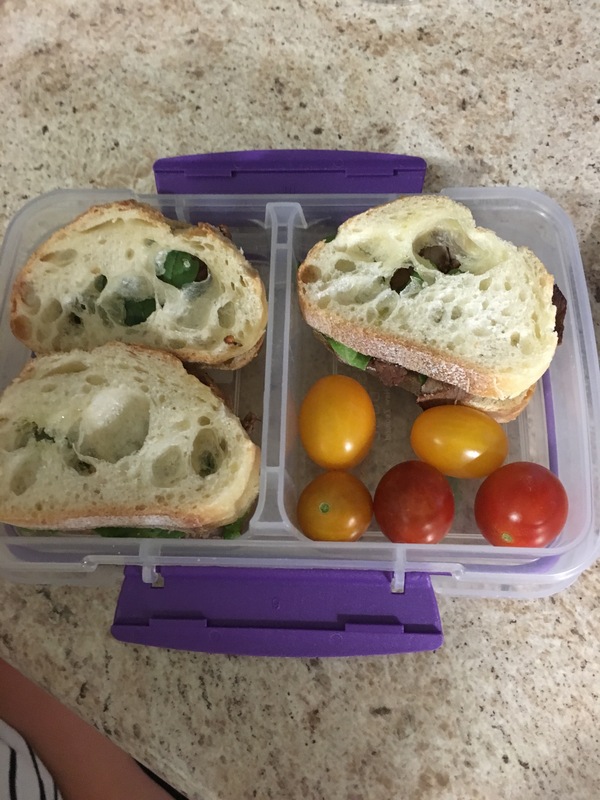 Then Evie made these little sandwiches from the leftovers for her lunchbox the next day. 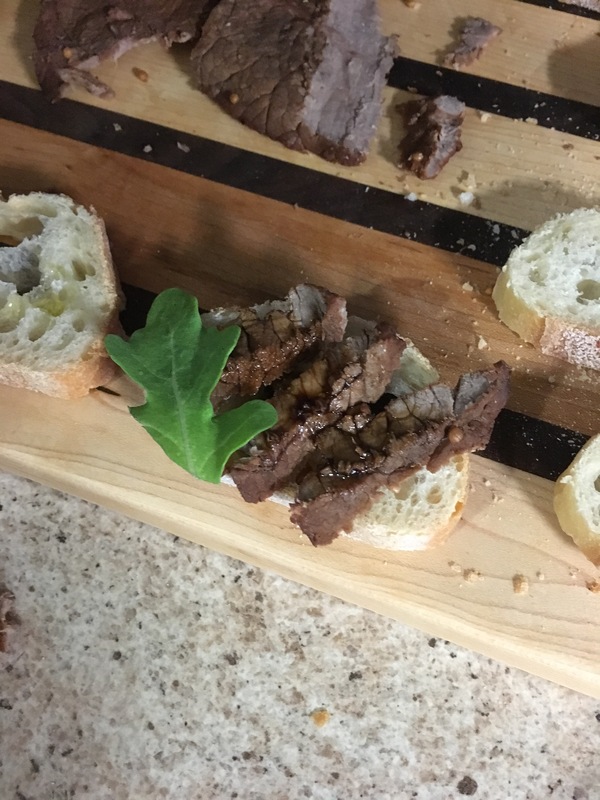 Just baguette,steak with a drizzle of balsamic and some arugula leaves. Notes: we did not use ribeye steaks as the store that I went to had noe, so we just used another type of sandwich/grilling steak. Also determined that neither Evie or I like Gorgonzola, we ate the sandwiches because they were very good, but Gorgonzola stinks! We can’t get over that so I will use the steak part again, maybe with a different less stinky spread!